Find out. 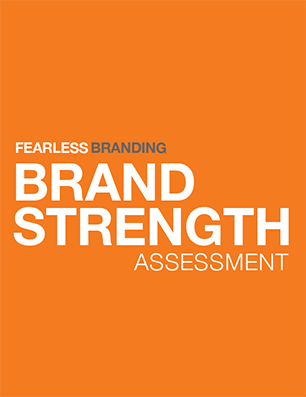 Take the Brand Strength Assessment. Does this sound like what you’re up against? "I know we could be generating so much more revenue, but we’re not communicating our value powerfully enough in our marketing and when we pitch to prospects." Let’s identify the gaps in your branding and marketing and close them. The Brand Strength Assessment is a rigorous diagnostic tool. It enables me to tell you where your brand is strong, where it’s weak and what you need to improve to generate the right leads and convert them into clients. You run a technology, professional services or consulting firm or you’re in a senior sales role. You believe you have a significant revenue upside if you could get your branding, marketing and sales efforts to fire on all cylinders. You don’t just want more clients, you want the right clients - clients who understand your value and are willing to pay what it’s worth. Download the assessment by filling out the form on this page. You gain some insight by reviewing the statements and scoring yourself. If you’d like to dive deeper and get clarity about what aspects of your brand need to be improved, I’ll review the assessment with you. I conduct the meetings in person in the San Francisco Bay area, or by phone or Skype. Through our dialogue, you’ll look at your branding, marketing and sales in new ways. You’ll leave the conversation with clear next steps to make your brand stronger. Please send me a note at Robert@fearlessbranding.com to schedule your review.